Arts Visalia is a non-profit community art center located in downtown Visalia in the historic Golden Creamery building. Arts Visalia has established itself as the premiere visual arts venue in the community. Our gallery features diverse monthly exhibitions of regionally, nationally and internationally recognized artists. Our goal is to provide opportunities for artists at many different levels of experience to show and sell their work. 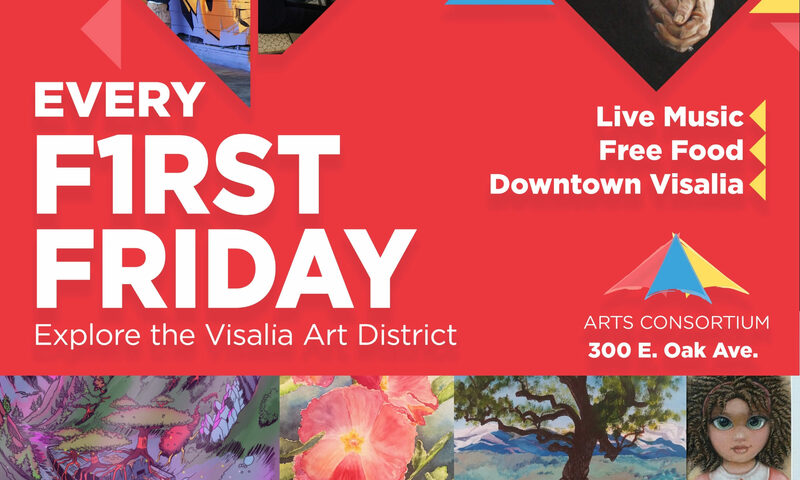 Throughout the year, Arts Visalia hosts a dynamic range of events including First Friday meet-the-artist receptions, lectures, workshops, open studio sessions, Family Art Days, and other special events that nurture Visalia’s visual arts community. Our educational programs and activities include classes for children and adults and continue to grow while our community outreach efforts expand each year. Through a year-round calendar of events, community members of all ages come together to express their creativity and be inspired by that of others. Fall and Spring sessions offer new 2- and 4-week courses beginning each month. Young at Art is our summer art program for youth offering new week-long courses beginning each week throughout June and July, culminating in an exhibition of students’ masterpieces during the month of August. Through generous support from private and public donors, our scholarship programs for kids provide opportunities for dozens of youth each year. Arts Visalia Visual Art Gallery and gift shop is open from noon to 5:30 p.m. Wednesday through Saturday and is located at 214 E. Oak Ave. For more information on events, exhibitions and class schedules at Arts Visalia visit http://www.artsvisalia.org or call the gallery at (559) 739-0905.